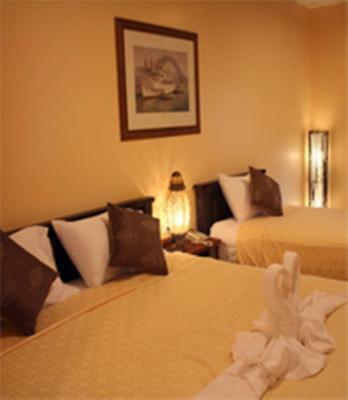 Lock in a great price for Baanmalai Guest House – rated 9 by recent guests! This place is truly fantastic and I already miss it so much. All the good reviews are so true. Located near the bus terminal it is in a quiet neighborhood (sometimes it's even quieter during the day than at night when your door neighbors come home). I had a big spacious room at the last floor with a generous balcony. Everything is modern and very clean (they clean the room every day). 2 bottles of water per day. Free breakfast buffet offered every morning in a lovely garden with fish pond. Free bicycle. Trips I bought from them we're good, affordable, and high quality (performant guides). The staff speaks good English, they are lovely and helpful, and they have even gifted me a beautiful sun hat when I left. Miss that place so much! It was one of the few places in Thailand where I could rest well overnight (without traffic noise). The room was very spacious and clean. It is in an alley, so it was very quiet. The breakfast was simple with eggs, toast and jam. We cook our own eggs, which was easy once we figure out the stovetop temperature needed to be turn up. We really enjoy our stay. It was a short walk from terminal 1 bus station, which was perfect for our need. Quiet neighborhood but close to the center. Large rooms with balconies. Friendly, helpful staff. Great automatic coffee machines. Good location. 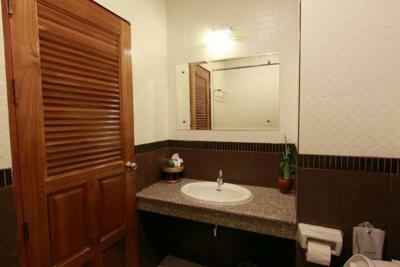 Walking distance to restaurants, night mkt, bars, sightseeing places. Attentive and friendly staffs. 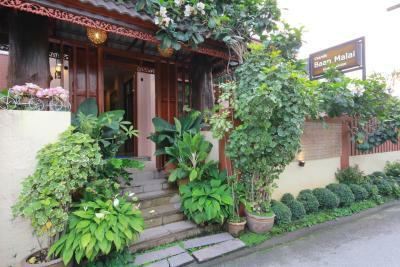 Excellent location, 5 min walk from night market, near an excellent small Pad Thai bistro. Nice coffee and omalate for breakfast for FREE. The location was excellent. In the old part of city. Walking distance to many sights. Down a quiet street. Very quiet at night. Free breakfast with good coffee, toast and eggs. At end of the road is a TMB bank with safe ATM to use. Regional bus station two streets down. Bus to White Temple 50 BAHT. Bus to Chaing Mai 230 BAHT. 7-11 nearby that you can get SIM for phone so google maps works. (They will put the sim in the phone) . Laundry three houses from hotel. CNN on tv. I would definitely stay at this hotel again. We had to check-out very early and the front desk manager woke up early to ensure breakfast was ready for our departure. A+ customer service. Cleanliness, maintenance,staff,attention to detail,location, definite value...Had to leave 45 minutes earlier than breakfast time but owner had set early so we would not leave without a bite...Recommend without hesitation! 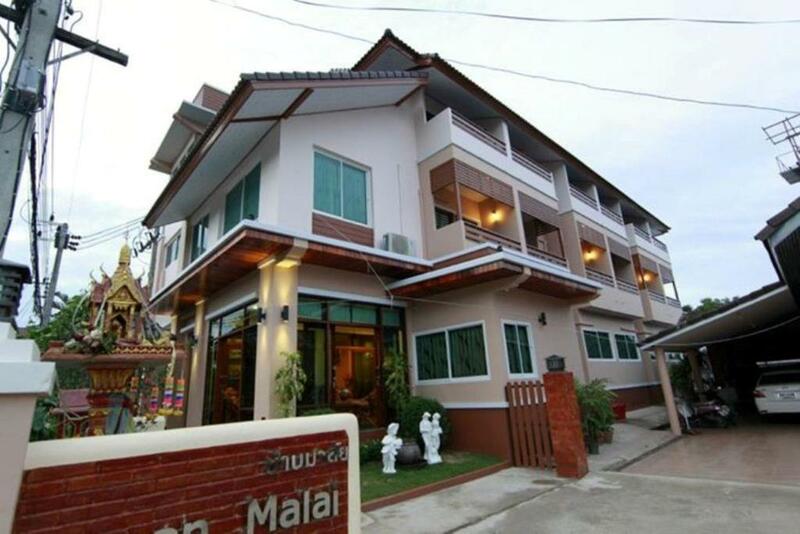 Baanmalai Guest House This rating is a reflection of how the property compares to the industry standard when it comes to price, facilities and services available. It's based on a self-evaluation by the property. Use this rating to help choose your stay! 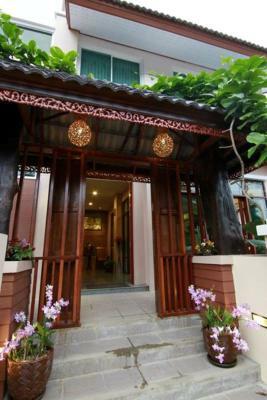 Located in Chiang Rai, Baanmalai Guest House features comfortable rooms with air conditioning and 24-hour complimentary tea and coffee in the lobby. Free Wi-Fi is available throughout the hotel. 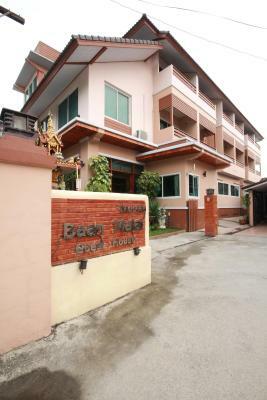 Baanmalai Guest House is 984 foot away from Wat Jed Yod. 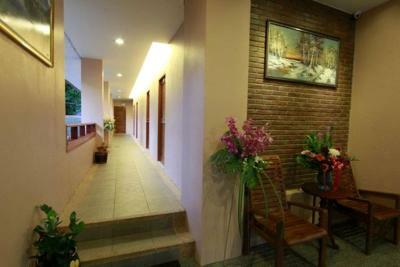 It is a 5-minute walk from Chiang Rai Bus Station and Night Bazaar. Clock Tower is located 0.6 mi away. 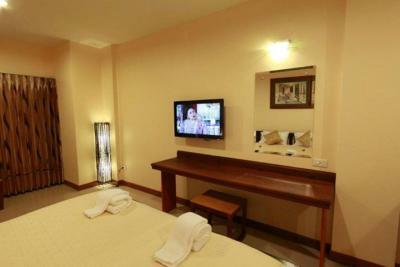 All rooms are equipped with a flat-screen cable TV, a seating area and a refrigerator. Their private bathrooms are fitted with shower facilities. 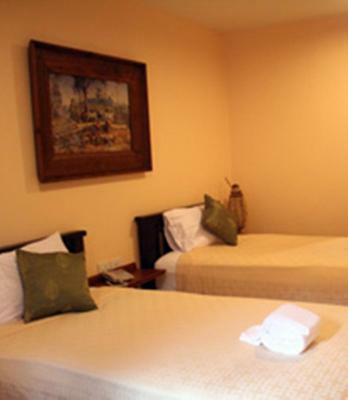 For convenience, the hotel provides a 24-hour front desk and on-site parking facilities. Guests can enjoy local cuisine served at the restaurants located around the property. 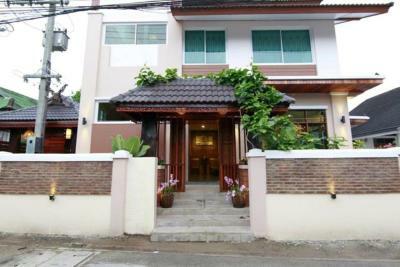 뀐 Located in the top-rated area in Chiang Rai, this property has an excellent location score of 9.0! When would you like to stay at Baanmalai Guest House? 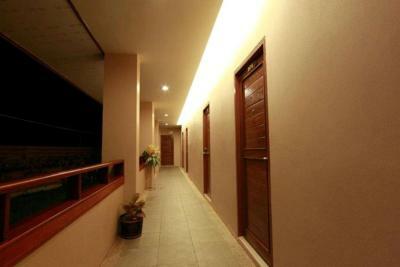 Air-conditioned room features a flat-screen cable TV, a fridge and a seating area. 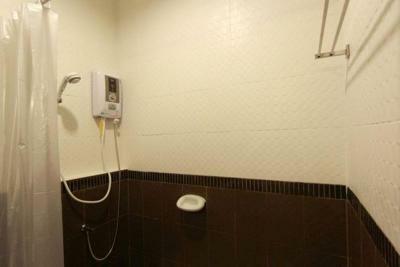 Private bathroom comes with shower facilities. 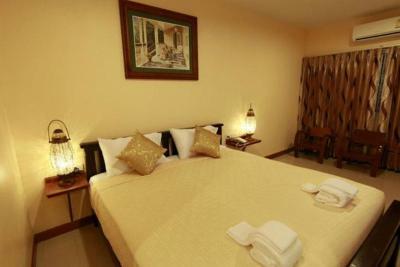 Larger air-conditioned room features a flat-screen cable TV, a fridge and a seating area. Private bathroom comes with shower facilities. House Rules Baanmalai Guest House takes special requests – add in the next step! 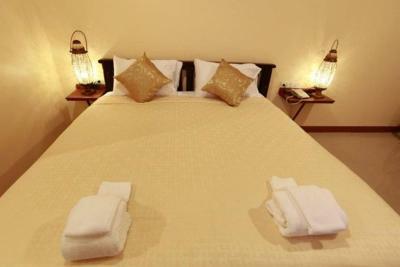 One older child or adult is charged THB 200 per person per night in an extra bed. Baanmalai Guest House accepts these cards and reserves the right to temporarily hold an amount prior to arrival. I did not like the fact there was no welcome pack when I arrived. No cups in the room. The shower head did what it wanted too most times soaking the bathroom floor. The staff friendly and professional. Phonic isolation for doors and windows can be improved. The quilt was very dirty when we checked in, when we asked for a new one there was a bit of a language barrier because we ended up with just an extra bed sheet but this was fine as it was warm enough to suit us. Good location nearby everything we needed. Nice big room. Great air-con! 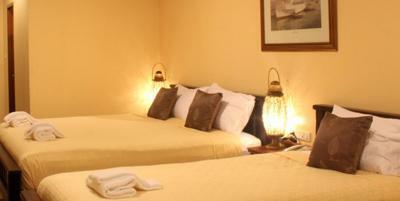 The staff was very frindly, the room was clean and pleasant and tidy. The location was graet. Breakfast is limited to toast, bananas and eggs if you want to fry your own. But, god, the coffee is great.